The House of Representatives today will consider the America COMPETES Reauthorization Act of 2015 (H.R. 1806), a bill designed to set policy at three key science agencies and authorize funding for the next two fiscal years. The bill is being brought to the floor by House Science, Space and Technology Committee Chairman Lamar Smith (R-TX), who secured passage of the bill through his committee on a strict party-line vote. CRA raised concerns about the bill at the committee level citing issues with the funding levels authorized and a disagreement over significant cuts the bill would make to authorizations for the Social, Behavioral and Economic sciences as well as the Geosciences — concerns that remain as the bill moves to the House floor. The bill is a reauthorization of the America COMPETES Acts of 2007 and 2010, bills which sought to authorize robust and sustainable investments in fundamental research at three key Federal science agencies: the National Science Foundation (NSF), National Institute of Standards of Technology (NIST), and Department of Energy’s Office of Science. They were inspired by a conclusion reached by the National Academies that the U.S. was woefully underinvesting in the physical sciences (which, in DC parlance, is anything that’s not life science) and that underinvestment was constraining U.S. innovation and competitiveness in an increasingly competitive world. They set the three agencies on a funding trajectory that would authorize a doubling of their research budgets over seven years. They were both strong, bipartisan statements about the importance of investments of fundamental research and the priority the Federal government ought to place on them. Unfortunately, the current bill does not share that priority and does not set these agencies on a path to robust, sustainable investments in research. We’ve written about the concerns we raised with the committee. Though the bill provides a healthy increase to the NSF Computing and Information Science and Engineering directorate in the first year of the authorization (FY 2016), it does so at the expense of the geosciences, and the social, behavioral and economic sciences. We believe that these cuts are detrimental to not just the research portfolios in those disciplines, but detrimental to computer science as well. Work in computer science — in cyber security, in human-computer interaction — is informed by work that comes from the social, behavioral and economic sciences. Understanding human interactions and motivations is crucial in understanding how to build hardware and software that is more secure and easy to use. 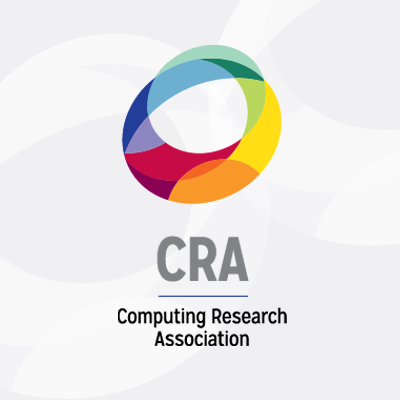 CRA is not alone among scientific societies in opposing H.R. 1806. Forty-three other societies, universities, coalitions and task forces joined in writing letters of concern about the measure. Despite that, it’s likely that the bill will pass, on a largely party-line vote, in the House today. This would be a disappointing result, not just because of the content of this particular bill, but because it signals a particularly partisan approach to setting science policy that Congress has largely avoided in past years. Federal science policy is too important to pass on a party-line vote.